BOSTON RED SOX owners happily share their vision for the team and its famous ballpark. Principal owner John Henry even shared personal e-mails he sent in pursuit of the woman who became his new wife. But on the subject of steroid use in the Sox clubhouse, there isn’t much sharing going on. So far, the official Sox reaction to the news about David Ortiz testing positive for a performance-enhancing drug in 2003 is praise for his “courage’’ in acknowledging The New York Times report. Ortiz promises full disclosure. But Sox management seems mostly anxious to move on. Management also had little to say in response to a separate steroids-related disclosure by the Globe Spotlight Team. According to the Spotlight report, Major League Baseball and the Sox investigated the use of performance-enhancing drugs inside the Sox clubhouse during the 2008 season. Afterward, two members of the team’s security staff were fired. The two men - Nicholas Alex Cyr and Jared Remy, the son of Sox broadcaster Jerry Remy - told Globe reporters that the questioning by MLB and the Sox was cursory; there was little interest in delving into potential steroid use by anyone else in the organization, they allege. 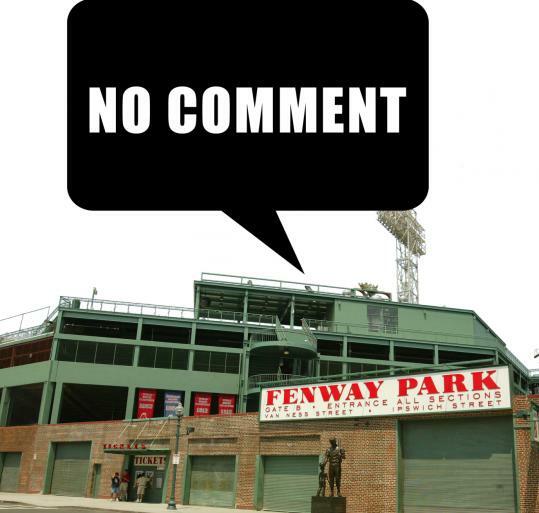 Susan Goodenow, a Sox spokeswoman, said the organization cannot discuss confidential, employee-related matters. He cited the end result - “they’re gone’’ - as proof that investigators did their job. “I don’t know what else we’re supposed to do,’’ he added. The MLB inquiry began after State Police confiscated a vial of steroids from Cyr’s car. Cyr told police that he bought the drugs from Remy. Remy denied that, but told Globe reporters that he has been a steroid user. Cyr and Remy told investigators they had no direct knowledge of steroid use by any players. The investigators never resolved the basic question of how Cyr obtained the steroids. And, more importantly, they never sought from Remy any details of the allegation that he shared openly with Globe reporters: that Felix Leopoldo Marquez Galice, a close friend and employee of Ortiz’s, had told Remy that he used steroids. An investigator for Major League Baseball made sure that federal authorities investigated Marquez, but only on the allegation that he had used a false identity to gain an official pass that gave him access to Red Sox premises. According to his lawyer, Marquez was never questioned by anyone about possible steroid use. The bad news comes as the Sox head into another crucial showdown with the New York Yankees. The scorn directed at Alex Rodriguez, Roger Clemens, and assorted other Yankees is sure to come back at them. It’s an unpleasant distraction. A World Series win in 2004 - the first in 86 years - followed by another in 2007 burnished the brand. The news about Ortiz and Manny Ramirez - also on the list of players who tested positive in 2003 - taints the players and the organization. The Spotlight report puts a focus on even more recent steroid use. It’s easy to dismiss Cyr and Remy as bit players in baseball’s ugly steroids scandal. But they had access to the clubhouse and players had access to them. Finding out how and why that happened is part of what Major League Baseball is supposed to do. Speaking out strongly against steroid use by anyone in the organization - from security staffer to star ballplayer - is what the Sox should do.